If you went through the previous article, you saved updates to the Appearance page. 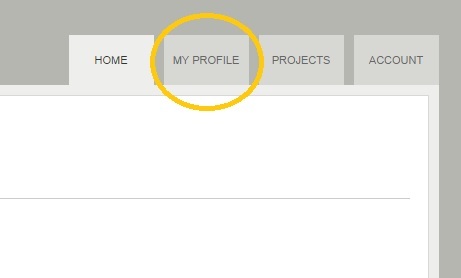 The “Roles” field has been effectively replaced by the new “Projects and Preferences” page. If you haven’t already updated your information there, please take some time and add your information to that page. The big change here is added a mechanism to validate union membership for members of SAG-AFTRA and Actor’s Equity. 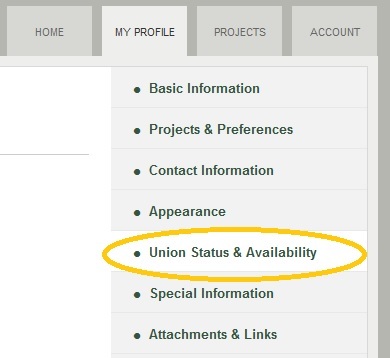 With the upgrade to version 0.3, union membership for all profiles has been removed. Therefore, if you’re a member in good standing of either union, you will need to re-enter your membership for it to show up in searches on Stonehenge. Navigate to this page, check the relevant boxes and enter your membership number, eight digits for SAG-AFTRA and six digits for Equity. Add a zero (“0”) to the beginning of your number if you’re a long-standing member (from our previous research, some of you are). 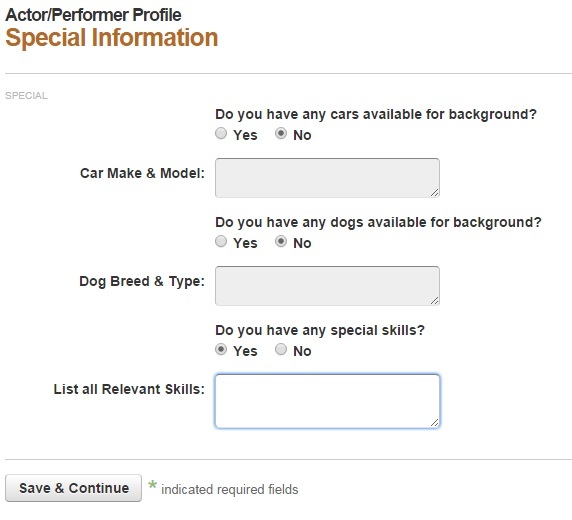 This feature was one of the most highly requested from employers, especially the team working on casting for House of Cards. It expedites the Station 12 clearance process for SAG-AFTRA performers greatly.